This article is a Tom Cruise trivia: It includes detailed information about Tom Cruise's films, co-stars and private life, as well as photos and movie posters. 1. Tom Cruise was born in 1962, in New York. 2. He stands at 5' 7" (1.70 m). 3. He used to be a seminary student. 4. He reportedly earned $75 Million for his role in Mission Impossible 2. 5. He got married three times. His first wife was Mimi Rogers (1987-1990). He was married to fellow movie star Nicole Kidman for 11 years (1990-2001). His third and current wife is Katie Holmes. The duo got married in 2006. 6. Tom Cruise has two adopted children with his ex-wife Nicole Kidman. 7. He only has one biological child: his daughter, Suri with Katie Holmes. 8. Mimi Rogers, Nicole and Katie are all actresses. 9. All of these wives are taller than Cruise. Rogers is 5' 8½" (1.74 m) tall, Nicole Kidman is 5' 11" (1.80 m) and Katie Holmes stands at 5' 9" (1.75 m). 10. His wives got younger: Mimi Rogers was born in 1956, Nicole in 1967 and Katie in 1978. 11. Katie Holmes shot to fame with her role as Joey Potter in the popular TV show Dawson’s Creek. The show went on for 6 seasons. 12. 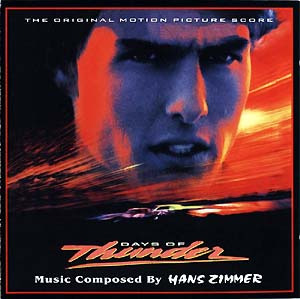 Tom Cruise and Nicole Kidman made 3 movies together: Days of Thunder (1990), Far and Away and Eyes Wide Shut. They met on the set of Days of Thunder and they were already a married couple whilst shooting Far and Away (1992). Their latest, Eyes Wide Shut was made in 1999. Even though it is the movie with the most controversy and highest rating on IMDB (compared to the other 2), it has also been the most unfortunate one. Director Stanley Kubrick died shortly after and the couple divorced 2 years later. 13. Tom got his first movie role in 1981. 14. Tom’s third movie, The Outsiders (1983)’ cast features the time’s biggest young stars: Patrick Swayze, Rob Lowe, Emilio Estevez, Matt Dillon and Diane Lane in addition to Cruise. 15. 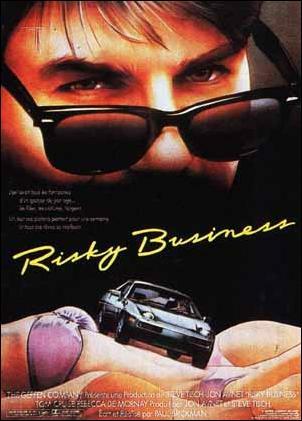 Though he managed to be a teen idol with Risky Business, he shot to true fame with Top Gun in 1986. 16. Tom Cruise has successfully managed a diverse career. His movies’ genres include (combinations of) drama, war, history, comedy, romance, action, thriller, sci-fi and fantasy. 17. His roles so far include (but are not limited to) a bartender, pilot, special agent, samurai, contract killer, senator, magazine owner, lawyer, sports agent, student, vampire, race-car driver, soldier and pool player. 18. His female co-stars include Nicole Kidman, Cameron Diaz, Penélope Cruz, Demi Moore, Rebecca DeMornay, Elizabeth Shue, Holly Hunter, Emmanuelle Béart, Thandie Newton, Julianne Moore, Renée Zellweger, Dakota Fanning and Meryl Streep. 19. Some of his male co-stars are Jack Nicholson, Jon Voight, Paul Newman, Val Kimler, Jonathan Rhys Meyers, Brad Pitt, Antonio Banderas, Robert Redford and Dustin Hoffman. 20. 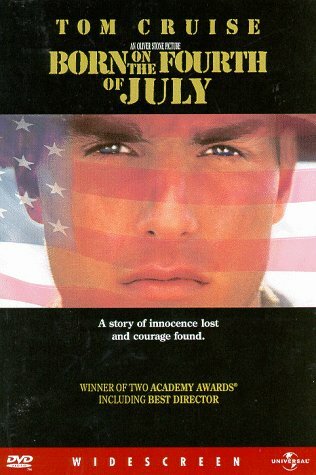 Some of his movies feature a cast of big stars: A Few Good Men stars Tom Cruise, Demi Moore and Jack Nicholson in major roles. The supporting cast includes Kevin Bacon, Kiefer Sutherland and Kevin Pollak. The cast of Outsiders is mentioned in number 14. His movie Interview with the Vampire also stars Brad Pitt, Antonio Banderas, Thandie Newton and Kirsten Dunst. 21. Since mid-90s, his average paycheck has been over 20 million dollars. 22. Dated Vanilla Sky co-star Penélope Cruz for 3 years. 23. 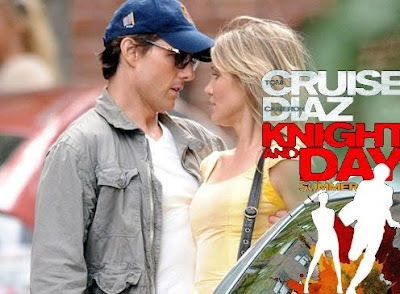 Even though his Knight and Day co-star Cameron Diaz is taller than Cruise (Cameron stands at 5' 9" (1.75 m) ), Cruise looks taler throughout the movie. 24. He has been nominated for Oscar three times: 2 times for Best Actor (Jerry Maguire, Born on the 4th of July) and once for Best Supporting Actor (Magnolia). I met Tom cruise on a chatroom game, and I asked him questions but I am still not sure if it is really him! Now I can test him on these! @ teresa: yeah, from me too. I am the same height as Cameron Diaz but hey, whatever they did to him in Knight and Day, he looked taller:) Love, love that movie. 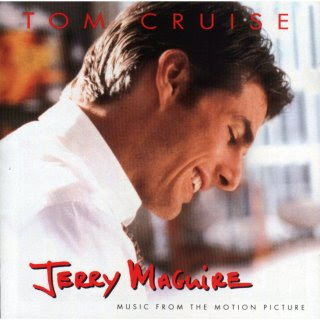 One of Cruise's best. so funny, so romantic and so exciting. Tom Cruise is shorter than me! I thoroughly enjoyed his Knight and Day movie about ten days ago. great line-up of Tom's movies. Very fun! I have seen most of his movies. He made some great movies. Top Gun is still one of my faves. I felt bad when he and Nichole broke up.